Due to the stable feeling of quad bikes, many new riders do not appreciate the potential dangers they present, and therefore fail to wear the protective clothing necessary to remain safe. In the event of a crash, this could cost you your life, so it is essential that you always wear a helmet, goggles, boots, and full coverage clothing when riding. For more extreme rides, you may even need to opt for body braces and padding for added protection. Of course, it is always tempting to see how fast your new machine can really go, but it is important to lay off the throttle in the early stages. When you are still getting used to your bike, you should take it slow and get to know how to control it properly. Once you understand the power of your bike, you will be able to regulate it safely when riding at top speeds. If you want to check out road legal quad bikes for sale, there are suppliers available who will be able to advise you on how to operate your new bike safely. Nerf bars are great for giving added protection when you ride, as they save your feet in the event that they slip off the pegs. This prevents your feet from getting caught in the back tires, as they have a place to rest in case of a slip. Whilst sharpening your foot pegs will help your grip, it is always better to be safe than sorry. Nerf bars are also useful for a range of other things, including acting as a sort of side bumper when racing. When transporting your quad bike, it is equally important to put safety first. Many newbies make the mistake of thinking that they can ride the bike up a ramp straight into the back of a pickup but this almost invariably ends badly. On reaching the top of the ramp, most bikes will falter and flip over backward, crushing the rider. Alternatively, the rider may overcompensate with the added throttle and end up speeding into the back of the truck’s driver seat. Instead, you should roll your bike up the ramp with the engine off, using an additional ramp or step for yourself. Hand in hand with much of the above, new riders end up rolling over more often than you would think. This usually comes down to a lack of understanding when it comes to the power and sensitivity of the throttle, but it may also result from a lack of experience when riding on slippery terrain like mud or on steep slopes, so always proceed with caution. 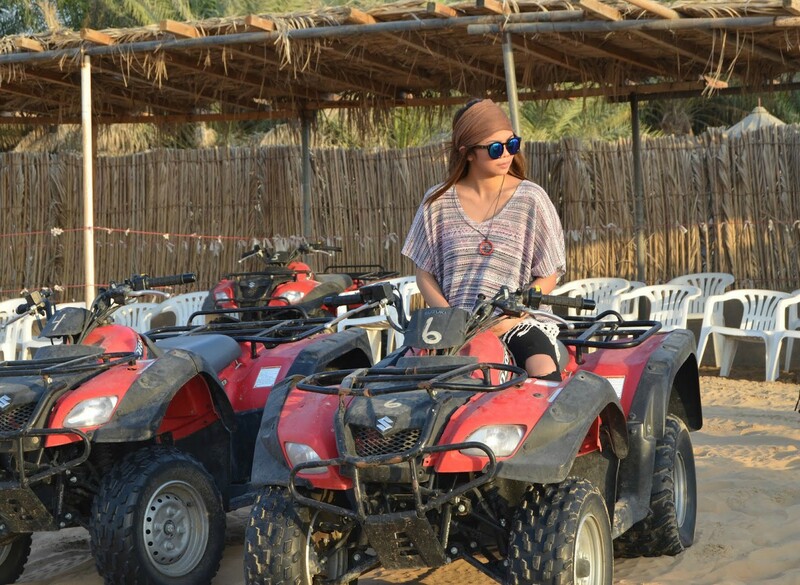 When starting out with quad biking, always put safety first in what you wear, how you handle the bike and how fast you take it. This way, you can build up gradually and stay safe. How do you find this activity?